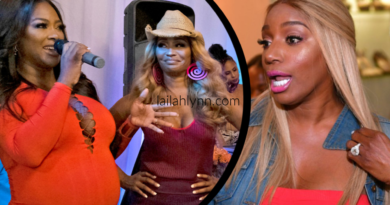 Wendy Williams Fires Kevin Hunter & Reposses The Ferrari He Bought Sharina Hudson! Wendy Williams BRAGS About Divorcing Kevin Hunter! Wendy Williams Husband Buys His Misstress A Gold Ferrari Portofino! 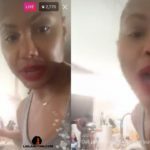 I spied with my little a eye a Twitter conversation between Tamar Braxton and the original CREATOR of ‘The Real’ talk show, Sally Ann Salsano. It’s no secret that Tamar Braxton has been working on her own talk show, reportedly with the help of Steve Harvey. But apparently, the original creator of The Real, Sally Ann Salsano, may be involved as well. Salsano created The Real but stepped down after it’s first season to work on her own production company. There will be a change at the helm of daytime panel talk show The Real for its upcoming second season. The show’s creator SallyAnn Salsano will step down from her day-to-day responsibilities as executive producer and show runner to focus her attention on her production company 495 Productions. 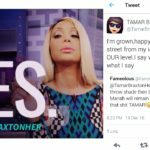 The new show runner, Rachel Miskoweic, is who ALLEGEDLY fired Tamar after she returned from her sick leave. The fact that Tamar Braxton purposely said “WE” makes me think her and Sally Ann Salsano may be working together on a new show. I’ll be watching. Will you? 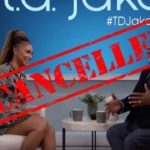 Did Tamar Braxton Shade The Real on TD Jakes Talk Show? Beyonce’s a Tamartian?! Copyright © 2019 Lailah Lynn. All rights reserved.